What was once a novelty toy trend has become one of the hottest health foods. Chia seeds were once used to grow grass covered pottery pets, but their healthful secret is out. 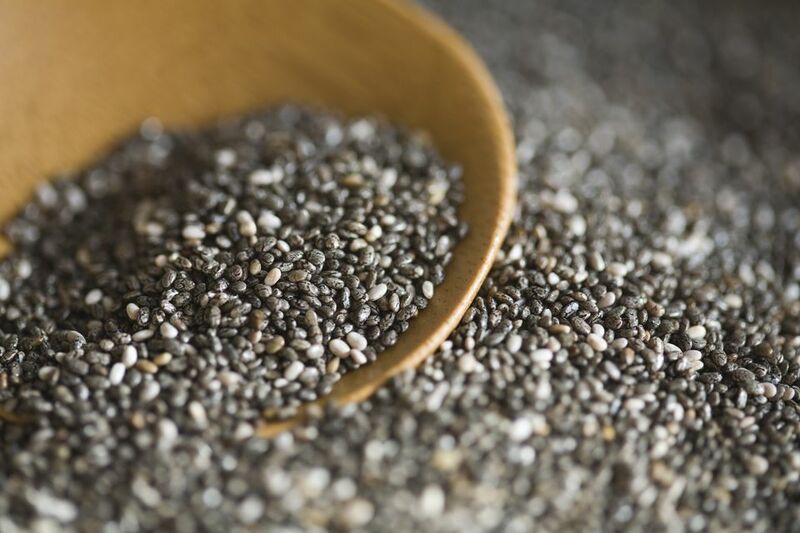 High in omega-3 fatty acids, fiber, and other nutrients, chia seeds have become one of the newest super foods. Chia seeds are harvested from the plant Salvia hispanica, a member of the mint family that grows wild in Central America. These seeds were a major food source for natives of that region for centuries, but have not had their time in the modern spotlight until now. Chia seeds are unique for their extremely high level of omega-3 fatty acids and antioxidants. Chia seeds are even higher in omega-3s than flax, which are a popular dietary source of omega-3 fatty acids. Unlike flaxseeds, chia seeds contain such high levels of antioxidants that they can be stored for a long time without fear of rancidity. Another bonus that chia holds over flax is the bioavailability of its nutrients without the seeds from being ground or milled. Chia seeds can be eaten whole and easily digested. A one-ounce serving of chia seeds (approximately two tablespoons) provides 137 calories, 4 grams of protein, 11 grams of dietary fiber, and 9 grams of fat. Chia seeds are particularly high in calcium, with a one-ounce serving providing approximately 18% of the recommended daily value. In addition to these nutrients, chia seeds are also a good source of minerals like magnesium, phosphorus, zinc, and manganese. Chia seeds can be added to the diet in a variety of ways. The most common use is to sprinkle them straight onto cereal, yogurt, salads, or other foods like chai pudding. Eaten in this way chia seeds provide a nice crunch and a slightly nutty flavor. Chia seeds are often mixed into beverages. When combined with water, chia produces a gel-like texture and provides thickening properties. Chia seeds can be mixed into smoothies, juice, or even a plain glass of water. Chia frescas are a popular drink consumed in Mexico and are made by combining chia, water, lemon or lime juice, and sugar. Chia seeds have also been added to a multitude of commercial products. Because of their crunchy texture and nutty flavor, chia seeds are a common additive to granola bars and cereals. Chia seeds can also be mixed into pancake or waffle mixes for extra fiber and nutrients. When chia seeds are fed to chickens, it naturally increases the amount of omega-3 fatty acids in the eggs produced by the chicken. Because chia seeds are so high in fiber, it is recommended that daily intake be limited to one to two ounces. Higher doses may cause digestive upset. Chia seeds can interact with certain medications, including heart medications, high blood pressure medications, and even aspirin. Always consult your doctor before adding chia to your diet. Those with severe food allergies should try chia seeds with caution, especially those with known allergies to other nuts or seeds.